Our sales team North / Asia is traveling with the spike® in China and is revolutionizing digital cutting in the country of the middle, in support of our local sales partner. 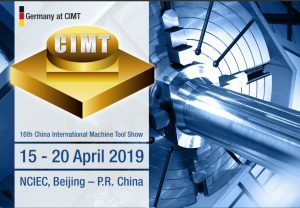 Highlight of the tour is the six - day international CIMT fair in Beijing, where pro - micron is present with a own booth - in cooperation with the German Group. trade fairs in the machining world. spike®_polar – this massage was met with enthusiasm. which spike® presented itself to the national and international audience.